Sports and fashion aren't the likeliest of bedfellows, but since the Council of Fashion Designers of America and the New York Mets both turn 50 this year (twinsies! ), some kind of double play was in order. 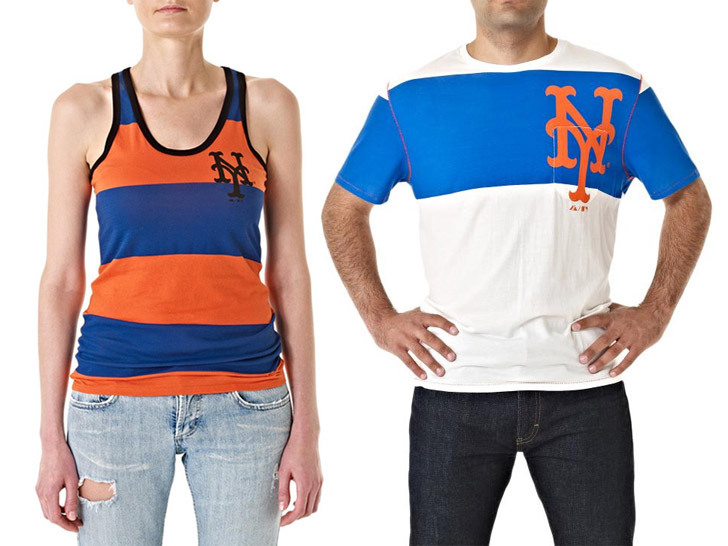 Loomstate's Scott Mackinlay Hahn and Rogan Gregory are among the four designers tapped to create a limited-edition apparel collection, which will be available at Citi Field and online at Edition01 beginning July 24. Decked in the baseball team's orange and blue colors, Loomstate's contributions include a pair of women's and men's tanks, a short-sleeve hoodie, and a unisex crewneck T-shirt, all made in the United States from 100 percent organic cotton. “We are excited to be working with the New York Mets on a CFDA-member-designed mini collection commemorating our 50th anniversaries,” says Steven Kolb, CEO of the CFDA, said in a press release. “The creativity of our designers is a fresh approach to team merchandise while supporting charitable efforts of both organizations.” All proceeds from the collection will benefit the Mets Foundation and the CFDA. Loomstate Mets Women's Tank ($60). Loomstate Mets Crew Tee ($70). 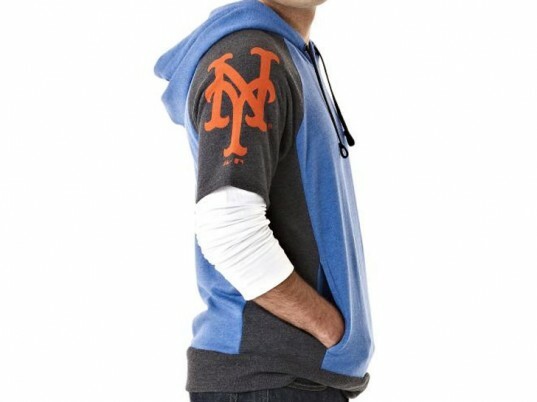 Loomstate Mets Short-Sleeve Hoodie ($125). The New York Mets logo gets prime real estate on the sleeve. Loomstate Mets Crew Tee, on a dude. Loomstate Mets Men's Tank ($60).